I will take hold of your hand to keep you from falling. 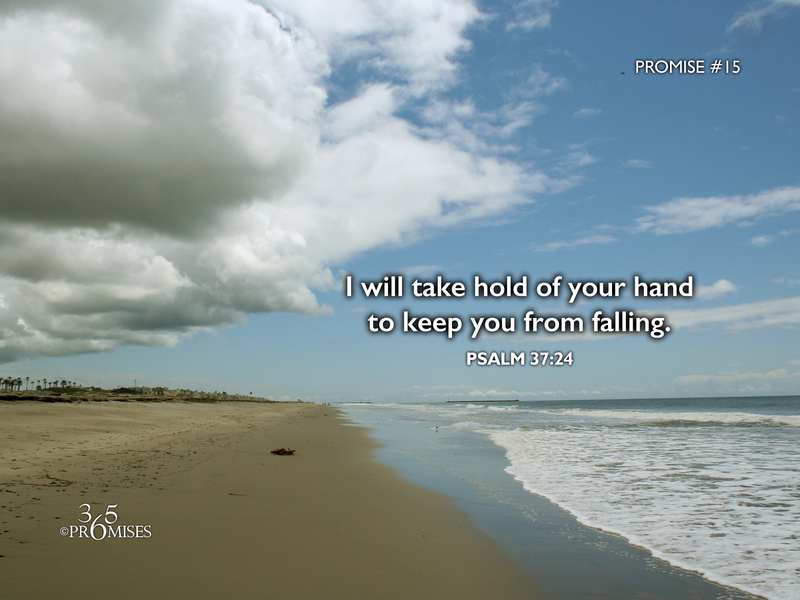 for Yahweh holds him up with his hand. The fear of failing is a powerful motivator to keep us from doing things that require some form of risk. If we believe that we will be rejected by God if we stumble and fall, then we may not be willing to risk at all. I love today's promise because it clearly shows that it doesn't bother the Lord in the least when we stumble and fall. The truth is that He is always ready to take us by the hand to help us get back on our feet again. When our children were toddlers, they all had to learn to walk. The first time they tried, they would fall down. And the second time, and third time, etc. With every step that they would take, my wife and I would cheer them on and be ready to catch them if and when they would fall down. The fact that they stumbled was of no surprise to us and it was of no consequence because we knew that they would get up and try again. I think it is the same way with the Lord. From His perspective, we are just little boys and little girls learning to walk out this life. He knows us completely and His heart is full of compassion towards us. When we stumble and fall, He is right beside us, ready to take our hand and help us continue our journey.